Skin Health Solutions is proudly partnered with Emma Coates Aesthetic Training. 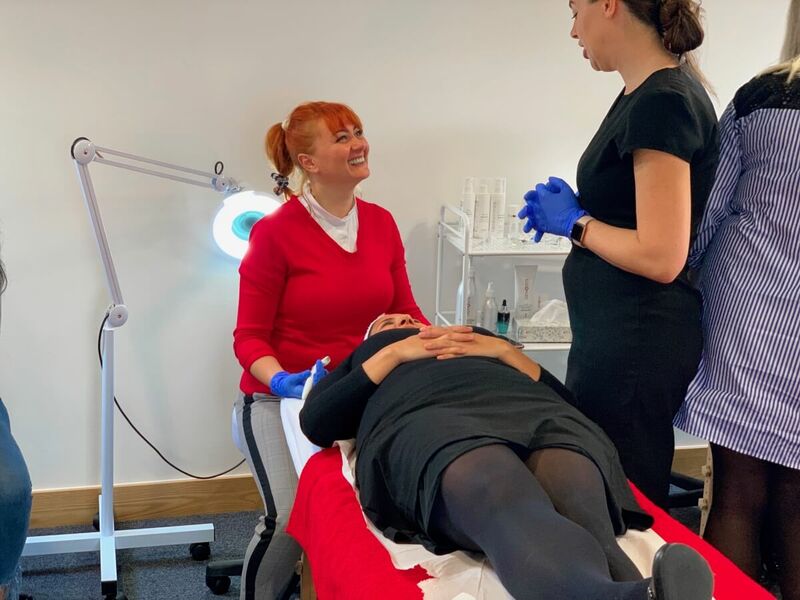 Emma Coates AT specialises in advanced skin therapies, offering these courses to medical practitioners and advanced beauty therapists. 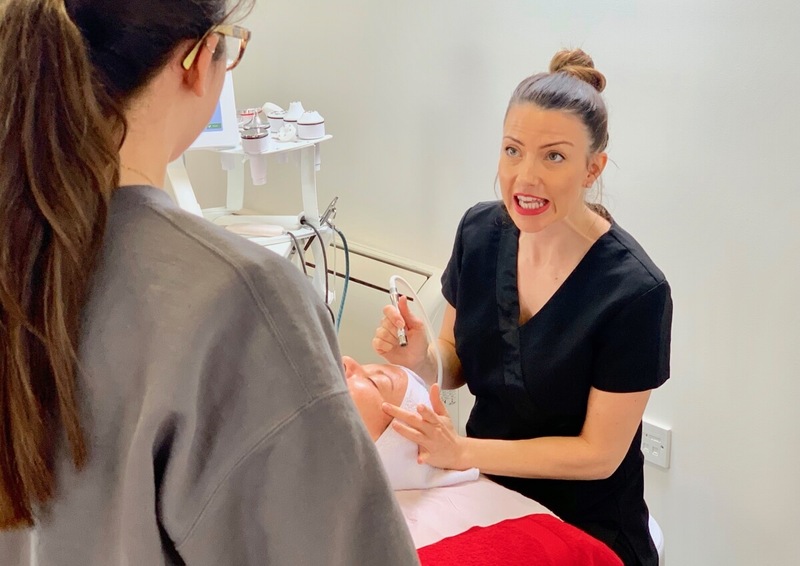 For those who do not meet these criteria, Emma Coates AT are have a facial course for those with no qualifications at all and a dermaplaning course for those who are level 2 and above. UK venues available: Bolton, High Wycombe and Glasgow. 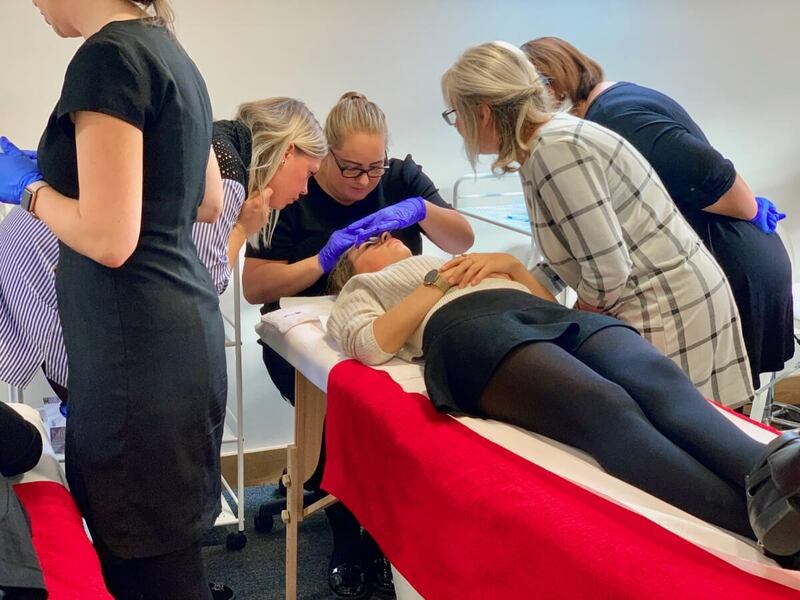 When undertaking a microneedling course with Emma Coates AT, you will learn to use both the Genosys dermaroller and the Dermafix Automated Pen Device in an effective and safe way. Microneedling now leads the way in skin rejuvenation. Microneedling works by creating a very mild degree of trauma on the skin. This trauma causes the skin to heal itself, creating new collagen and epidermal growth factors in abundance. Hundreds of tiny punctures are created using the epidermaroller, these will close in minutes following treatment. Safety is key. 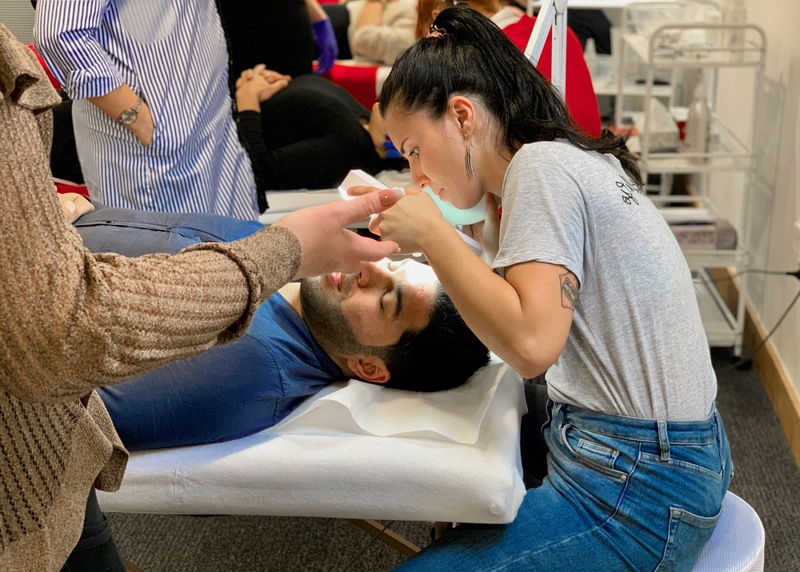 Skin peels are available from high street retailers such as boots, but to use higher concentrated peels training is required. Emma Coates AT trains using epiderma5 AHA40 or AHA70 (medics only) which 40% and 70% respectively. Both the a AHA40 and the AHA7 are a safe, simple and effective Glycolic Acid Peel for you to use in treatments with your clients. Mesotherapy is performed with tiny injections of pharmaceuticals, vitamins etc are delivered into the mesodermal layer of tissue under the skin. Mesotherapy moisturizes the skin deeply. It improves sagging as well as stimulating the creation of collagen and elastin. Thus achieving a brighter, smoother and younger-looking skin. Mesotherapy can be performed with a needle and syringe (nappage or intra epidermal) or using the lower needle settings on the Dermafix. This is the most popular course at Emma Coates Aesthetic Training. 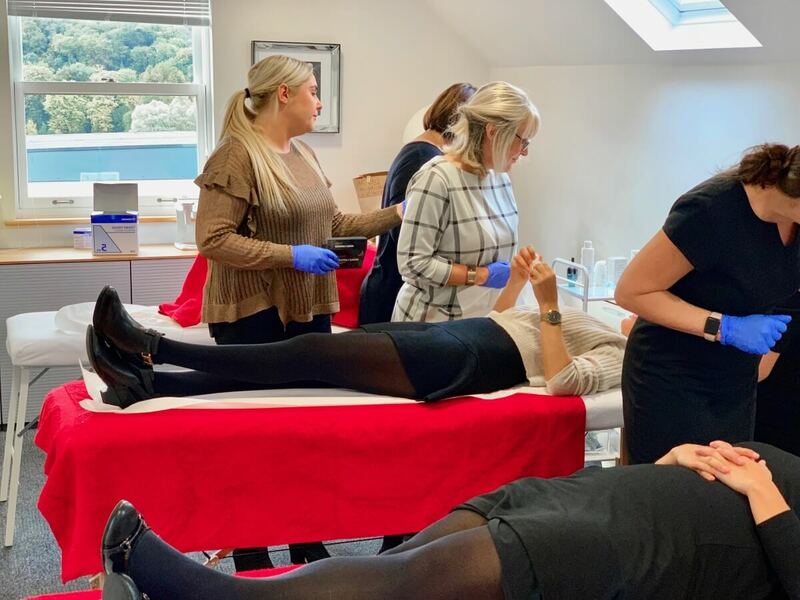 It comprises all three of the skin peel, mesotherapy and the microneedling courses into a one day course. By combining all three courses at the same time it will not only save you money, but also time. 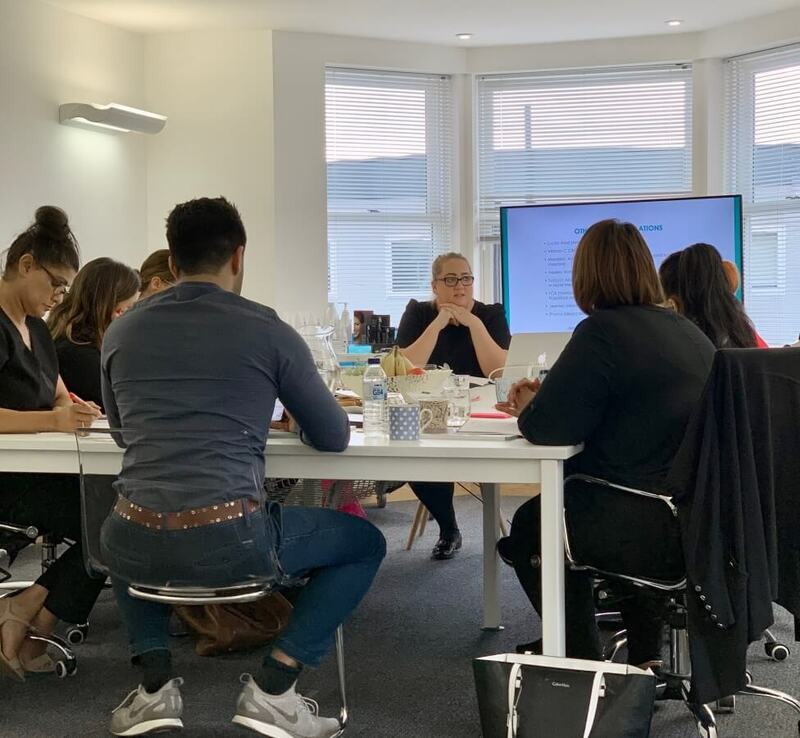 This one day intensive course is also available on 0% finance meaning you can spread the cost out over 10 months without having to pay any additional fees. Facials are an incredibly popular treatment for salons all around the UK due to the high demand for them by clients. Facials are a multi-step treatment that consists of consultation, cleansing, skin analysis, exfoliation, extractions, facial massage, facial mask, final application and advice on home skin care. Facial training requires no previous qualifications. 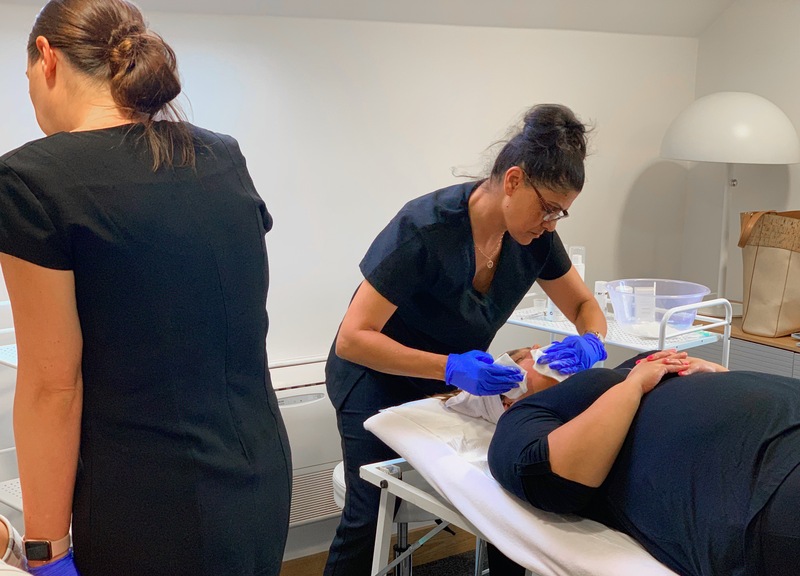 Dermaplaning is a treatment that has gained popularity because it not only removes the fine vellus hair or ‘peach fuzz’ from the face but it also promotes the growth of new skin cells by scraping off the dead old cells. This training with Emma Coates also includes a starter kit in the price. 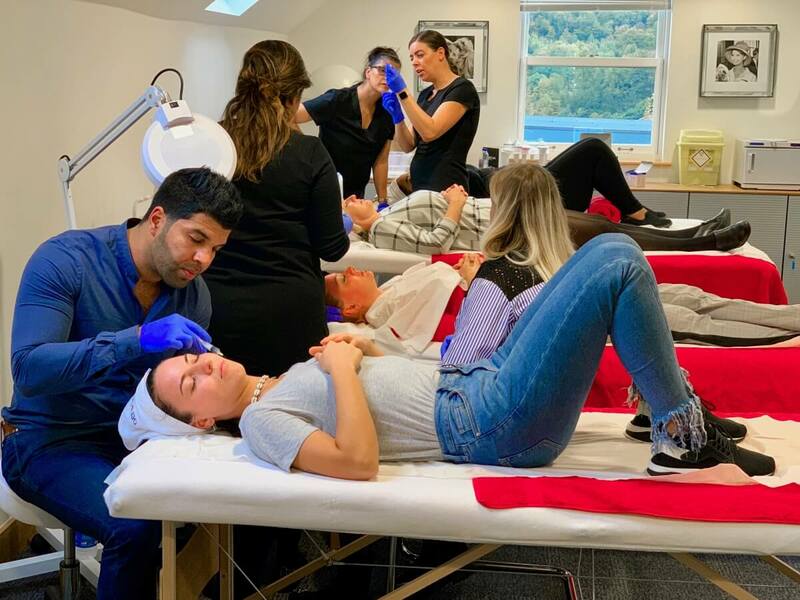 Dermaplaning can also be administered every three to five weeks meaning that you will see clients walking into your clinic once a month a for a treatment, which is fantastic when trying to build a regular customer base. Microdermabrasion is becoming the go-to treatment for facial rejuvenation. It’s relatively low cost for the consumer and treats a number of skin concerns. It works by removing the top layer of dead skin cells from the skin and can be used on all skin types. The treatment can be sold as a package and is great for encoruaging repeat business for therapists and clinics.